Doe Run has several large mine waste piles. And in the 90s and into the early 2000s, Doe Run sold chat, or sand, from those piles. That sand contained harmful amounts of lead, and is the subject of upcoming lawsuits. The bill would cap punitive damages in lawsuits like these at $2.5 million. For some perspective, a jury ordered the previous owner of the Herculaneum smelter to pay $320 million two years ago, saying the company was responsible for the lead poisoning of children. Attorneys suing Doe Run in the upcoming trial declined to speak with St. Louis Public Radio since the trial date is nearing. The EPA said Doe Run was aware of the problem in 1992, but didn’t stop until it was ordered to do so by the EPA in 2003. Doe Run has stepped up its lobbying game to try to get this bill passed. They hired on seven additional lobbyists, and contributed $25,000 in campaign contributions this year, which is markedly more than they have in previous years. Recently, Doe Run took some legislators on a tour of the facilities. I spoke to Doe Run’s vice president of law, Matthew Wohl, and asked him why the decision of how much a company should pay if they’re negligent should be decided by lawmakers -- and why a jury wouldn’t be capable of making that decision. Doe Run Leaving The Lead Belt? Wohl said Nixon mischaracterizes the company, and that the bill is important for Doe Run’s survival in Missouri. He said without protection from large punitive damages, the company may have to leave. Wohl pointed out that the company employs about 1,500 people in Missouri, and contributes about $1 billion to the state economy. When asked about those jobs, Nixon said lead is important, and that he wants the industry to succeed. 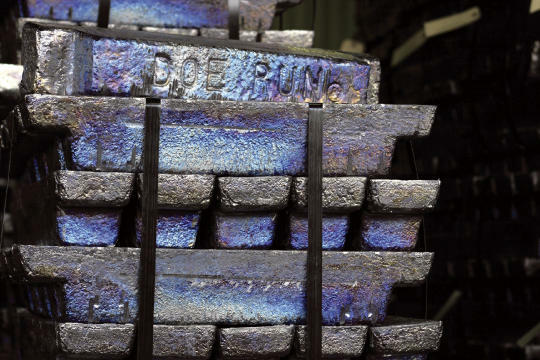 Nixon called Missouri the “lead mining capital of North America," and said Doe Run is bluffing. Benefiting One Company Or The Entire State? Nixon also said that it’s not appropriate for a bill to single out a company for benefit. Republican House Speaker Tim Jones disagreed with the characterization. Jones said the veto could be overridden this week. It originally passed 15 votes short of what they would need to override in the House, but some lawmakers have indicated that they have changed their minds after thinking about the company’s economic impact. 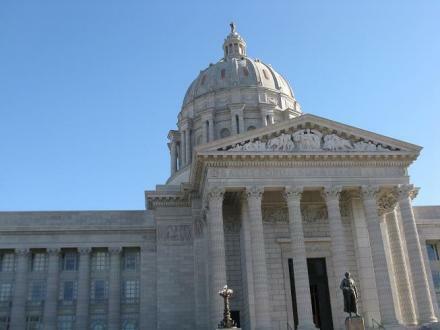 Doe Run received a big win on Wednesday evening, when the Missouri legislature passed its law. Numerous lawmakers changed their votes during the summer. In the weeks leading up to veto session, Doe Run added three more lobbyists -- bringing the total to 11. And as the St. Louis Post-Dispatch's Virginia Young reported, one of them has close ties to one of the Representatives who cast a deciding vote. She had initially voted against a bill limiting lawsuits against the Doe Run Co. But on Wednesday, Hubbard joined the Republican majority in overriding Gov. Jay Nixon’s veto of the bill. One day earlier, her son, Rodney Hubbard, had gotten a lobbying job with Doe Run, according to Missouri Ethics Commission records. Attorney General Chris Koster has filed a consent decree to address environmental violations at Doe Run’s Sweetwater Mine and Mill in Reynolds County.